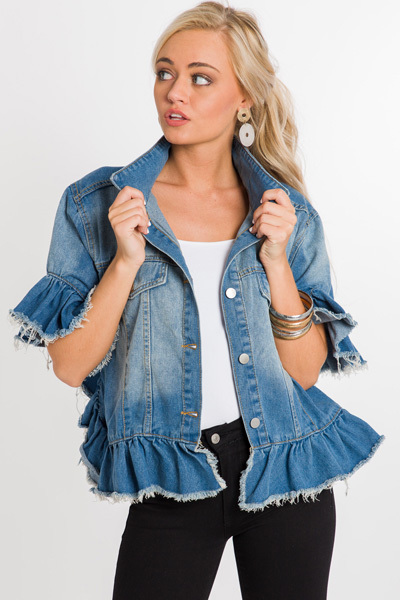 We are firm believers in a good denim jacket! 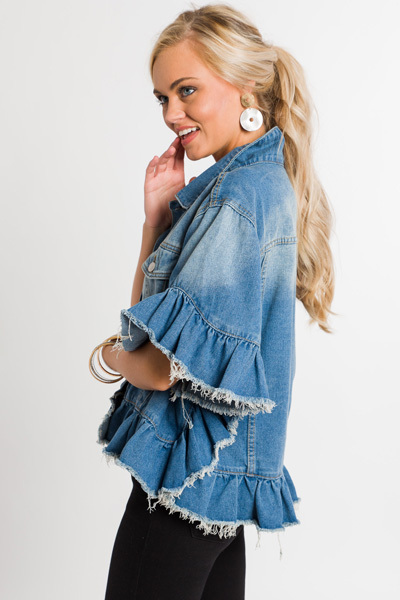 The raw edge ruffle hem and medium wash on this one really amp it up, and make it spring and summer ready. 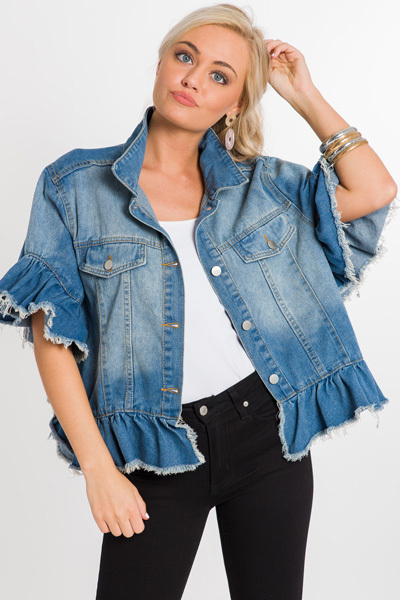 100% cotton material is super soft and comfortable, unlike some denim. Fit is a bit roomy. Model is wearing size S/M.